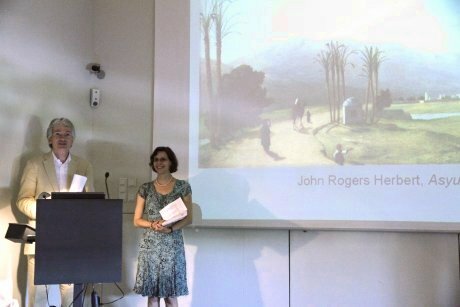 "… herrliche und unvergleichbare Monumente werden bald nur mehr in Erzählungen erhalten sein"
With its 2011 meeting the Egypt and Austria Society trod new ways. For the first time a study day was organised. 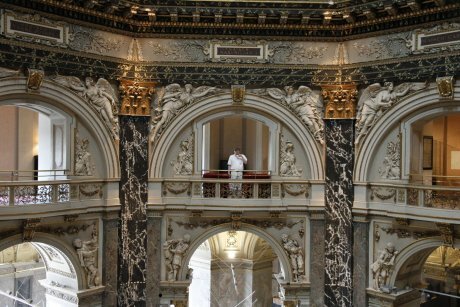 In continuation of the well-established cooperation with the Egyptian and Near Eastern Department of the Kunsthistorisches Museum Wien the meeting tooke place at the Kunsthistorisches Museum Wien on June 16, 2011. The opening lecture was held by Univ.-Prof. Dr. Jochem Kahl (Freie Universität Berlin) with the title: "… a perfect feast to the eye" – Frühe Forscher und Reisende in Assiut. This lecture was followed by 10 presentations on several themes examining the legacy of the ancient Egyptian culture and its monuments as reported in the travel literature. Some 50 participants seized the opportunity to discuss a theme, which until now is waiting for exhaustive studies.